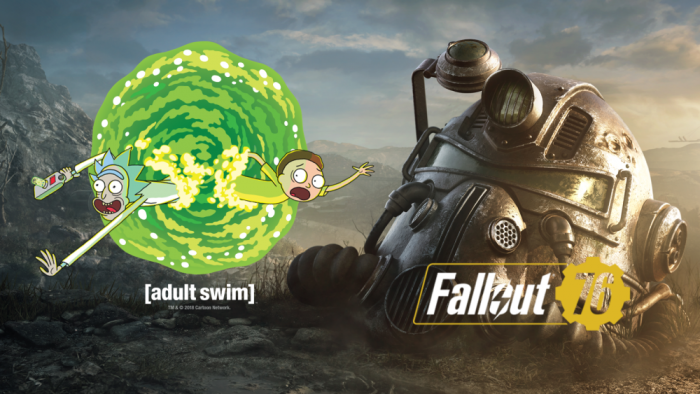 Popular Twitch streamer Tyler “Ninja” Blevins, hip-hop artist Logic, and Justin Roiland in character as Rick and Morty of Cartoon Network’s Rick and Morty teamed up to stream Bethesda’s Fallout 76 last month. The four characters experienced the world of Fallout 76 and all of the new multiplayer activities that make the newest game in the series unique and exciting, including being able to launch a nuke onto the map. Here at Thunder Gaming, we helped make Rick and Morty come to life on stream and interact with the audience live. It was the first time that people and cartoon characters were live streamed together, according to Variety. Viewers were able to watch and interact on Bethesda’s Twitch and Mixer channels. Fallout 76 is available on PC, XBox One, and Playstation4.